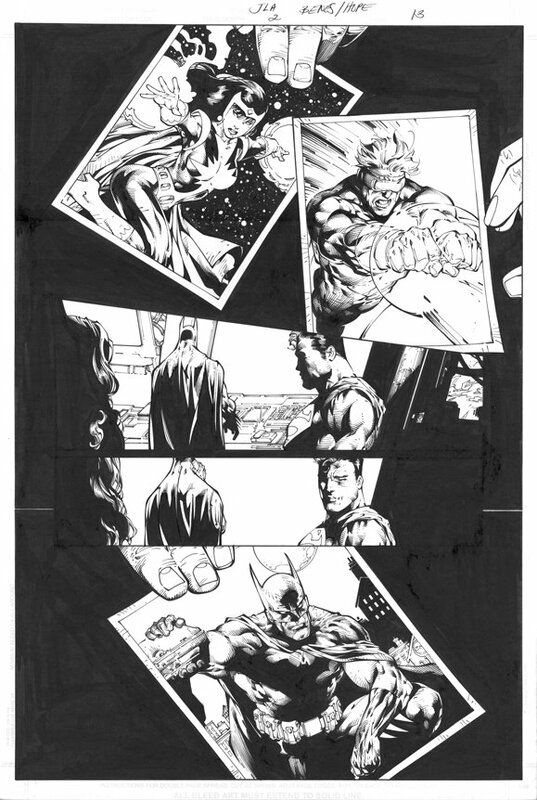 Using mostly a brush and a Micron for little touch-ups, here's a page from today's JUSTICE LEAGUE OF AMERICA #2. I didn't want to spoil any cool moments, so I hope these nice shots of Dr. Light, Booster Gold and Batman will tide fans over for now. And if I get a chance, I'll try to sneak a page of Ed Benes' pencils to compare against Sandra's inks next time too. Brad Meltzer also became the first writer to top the New York Times Bestseller List and Diamond Comic's Top 100 Sales Chart at the same time with THE BOOK OF FATE and JUSTICE LEAGUE OF AMERICA #1, respectively. Congratulations! I'd never read any of his books before, but I couldn't put down THE BOOK OF FATE once I started reading it. He was just in town for a book signing too, so check out his tour schedule to stop by and say "Hi." Where art thou, Jimeo? Originally uploaded by Gelatomettista. I think "WorldStorm" is a great name and it's just a hint at all the cool things going on in the WildStorm Universe now, so to help celebrate, I thought it'd be fun to see where everyone's from on this map. And if I can get it to work, I'll update it with all the places the WorldStorm's gonna hit too. It'll be like following the path of a Storm. Hmm...I wonder if they have a map of our solar system too? WETWORKS also hit stores the other day and to echo Rich's comments, it's fun, detailed and crazy stuff. 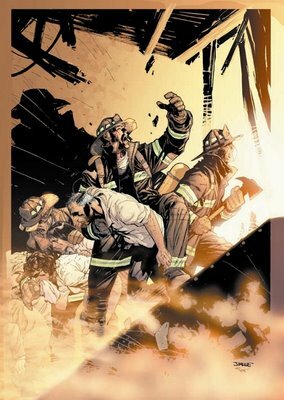 I still remember reading their first adventure in WildC.A.T.S #2 and later being disapointed when Whilce left the title around WETWORKS #13, but now he's back and you can even read Portacio's "rant" on his new blog. He's already posted his thoughts on the first issue, the colorist and his all-time favorite Wetworks character. 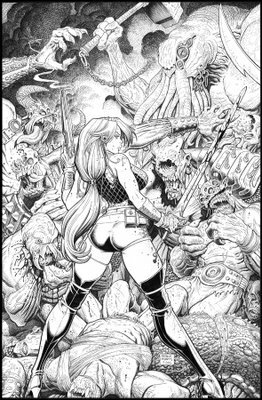 Here's a look at the original art to Art Adams' variant cover, in stores Wednesday. Skye is all business on this cover and that creature on the right with his face slashed in half gets me everytime. Ouch. Inside, the mercenary elf, Glyph, makes his move and we also learn more about the mysteries surrounding Skye's father. You can also line up all of Alé's cover to create one big panoramic image of the world of Skye Runner too. Oh, and for all you completists out there, both of these covers will be available 50/50, so that should make it easier to collect 'em all. Eddy had asked me about posting some Batman info. It wasn't official until about 4 weeks ago but it's confirmed now that I am the inker for the project. I had known about the book for about 7 months..but it was sort of up in the air. So it's Whilce Portacio penciling the book and me inking it. 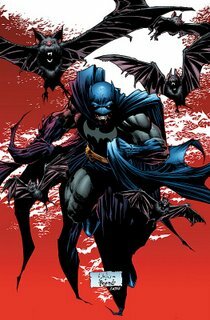 The title is Batman; Confidential...it's a new series and Whilce and I are doing 6 issues. I've been inking Whilce now for several months and it's going well. It's really fun, very detailed (especially the Wetworks art.....yeow man....he went crazy) and from what I can tell both books should be something fans will like. 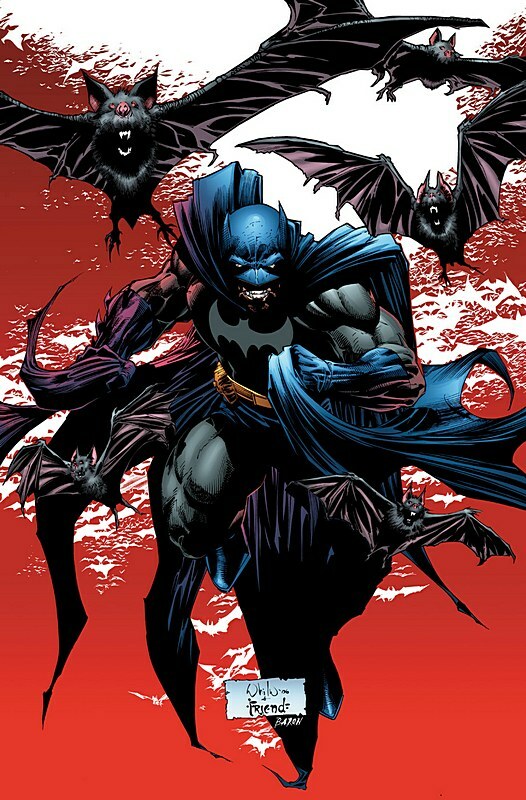 I haven't read the Batman scripts but I have read the first 7 issues of Wetworks...and it's really good. I tried to post some new pencil art (my stuff) about 2 or 3 weeks back and the post never appeared...not sure what happened? Hope everyone is doing well out there. I saw a lot of people at the San Diego con from this site (even many lurkers stopped by)..thanks for saying hello. I laughed out loud when Carlos drew this because I thought he captured my attitude pretty well and of course, my love of comics. Anyway, I just realized I've been here for a little more than a year now and everyday still holds something new for me! The last year's been fun and I know there's still a lot more coming up too. P.S. I just sent out almost forty Gelatometti Sketchbooks on Monday, so thanks for everyone's orders. We had fans from all over America and as far away as Europe, Asia and Australia too! And we also have more copies for anyone who'd still like to order one too, so please contact me to order one today. Thanks! 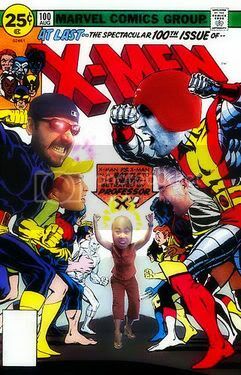 Lee vs Coipel: You Decide! 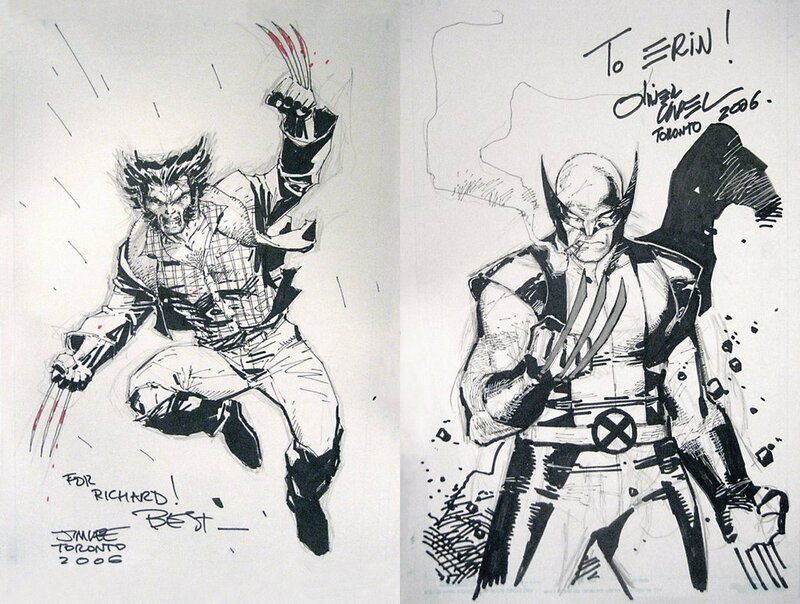 The artists: Jim Lee and Olivier Coipel. The winner: Two lucky fans! Jim and Oliver each drew Wolverine at last Saturday's Sketch-Off panel and everyone in the audience got a chance to walk away with the goods! 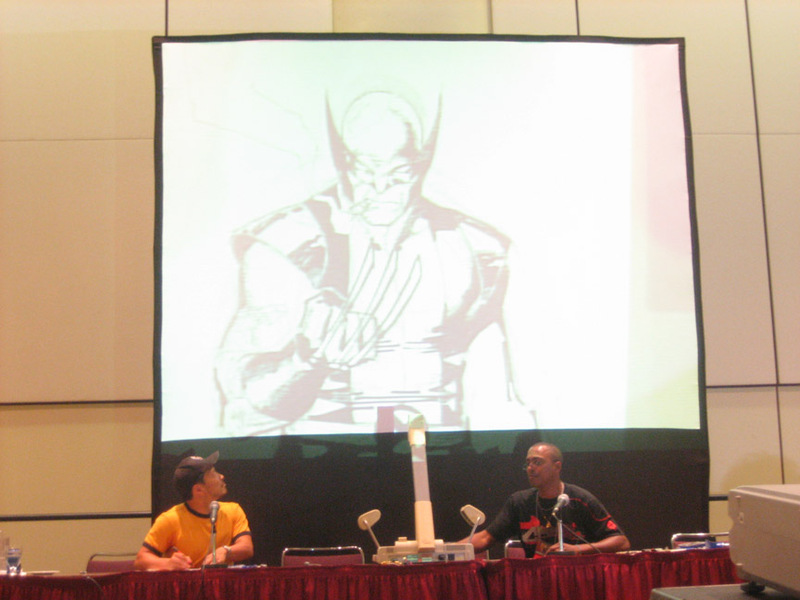 They would also show the progress of their sketches on the overhead screen, while they answered questions too. When they first came in the door, each fan got a raffle ticket and after Jim and Olivier finished their pieces, a volunteer passed around two boxes for everyone to pick their favorite. I don't think there was a formal count, but it looked close. Jim and Olivier then pulled out the winning tickets and two very happy fans each had a great souvenir for the weekend! Jim also had an Up Close and Personal with All Star Jim Lee panel on Friday too; where he talked about Frank Miller, "Image on Ice," and the Atom.